Ever since I was a little girl I have been haunted by Lincoln. I remember when I first saw him in my history book in class, how his face snapped me out from the slow drawl of just another ho-hum school day. At first it was his iconic image that mesmerized me. The top hat, his tall stature, but most of all his face. I gazed at it transfixed, slowly studying each line and indentation that made up the strong character of his amazing face, which for me was a beautiful map of his soul. I sensed in him a most unique trait, that of simple honest truth that was at home in the dark waters for it learned to swim and accept the world without judgment. I read in his face that he was a man of high moral character, true to his self and supremely kind. The more I learned about the man, the more fascinated I became. Later when I read more about his deeds, his incredibly important role in the unfolding of our young nation, my intuition of him was validated. Here was a man who was responsible for uniting a nation in the height of crisis and on the verge of collapse while simultaneously dealing with abolishing slavery. With all these accomplishments and his strong effect on the masses who hung on his every word, he himself came from a most humble background, just a boy who grew up in a modest log cabin of a small Kentucky farm. Self educated, with only 18 months of formal schooling, he devoured books for he was a lover of knowledge, not power. He loved people, especially the common folk, and they loved him in kind. A true diamond in the rough, he wasn’t motivated by selfish political agendas for power and wealth, which is all that we see today in politics with the exception of such figures like Ron Paul who bring us back to those good old days when being a leader of this country meant something. He was a man of integrity and his success with the public lay in his deep insight into the heart of man for he saw the common denominator and was therefore able to unify a country in the midst of disunion. Now show me how a man treats animals and I will tell you what kind of a man he is. Lincoln was a true animal lover and he avoided hunting and fishing because he did not like killing animals, even for food. Behind his public persona, his private life unveiled a most sensitive soul. He was known to suffer bouts of melancholy, probably due to pain from unrequited love and the death of his close loved ones all around him, including his son. He fought depression all his life, taking refuge in writing poetry and focusing on his duties as president. He would spend nights alone by the fireplace reading aloud to himself passages from the poems of Edgar Allan Poe. 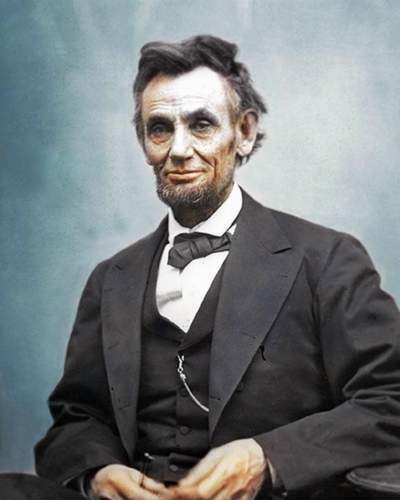 Lincoln was also well known for his jokes and stories, humor being a method to alleviate his lifelong agony. Despite all his personal tribulations, he was a dedicated leader and never allowed his depression to interfere with his heavy responsibilities as president during the most turbulent time in American history. ESSENE THOU COMMENTARY: ‘CONFER’ holds a unique and honored place in the spiritual vocabulary of the Chinese people for it forms half of the name of it’s most beloved Teacher of Philosophy. ‘Confer-It’s He’ or Kung-Futse. Romanticized into the popular spelling of “Confucius” was he who ‘conferred’ upon China the Analects or Teaching Parables which were quoted in China for twenty-five centuries as the very pinnacle of both Wisdom and Beauty. The ‘religion’ of Confucianism may or may not survive the end of the Empire which Confer-It’s. He venerated and helped to stabilize with his many Wisdoms; but the EFFECT of his Teachings will surely never die. In every Chinese heart there still remains a longing and deep LOVE for Wise Sayings, succinctly expressed. That is what the Sage ‘Confucius’ conferred upon them. The Hexagram CONFER is ALSO the root-source of ‘Kung Fu’ and all other arts and sciences based upon ‘seeing into’ an ‘opponent’ or fellow-being, and acting according to their intent just as the great philosopher did for the masses in his countless Sayings. The ‘art’ or science of CONFER-ing is one of RELATING FROM ONE’S CORE with the core of others. Those who have it, have the ability to tame wild beasts to the hand, treat easily even with dangerous people, and affect nature in ways that un-trained people would consider ‘miraculous.’ The power of this magic lies within us all but it is only a Sage who is drawn to learning it. There are countless applications of this power, many of which are available through the living adepts and Masters of traditional Asian Hsien Tao. 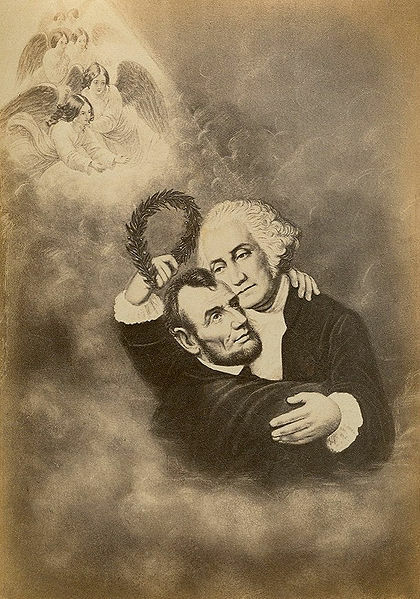 To add to the mythic persona of Lincoln is undoubtedly his assassination which was the first in American history, earning him a place forever as a martyr and saint-like figure. He also foresaw his own death in visions.